The 35 durometer EVA is the standard material primarily used for our Diabetic orthotic. It comes in black and provides gentle support. 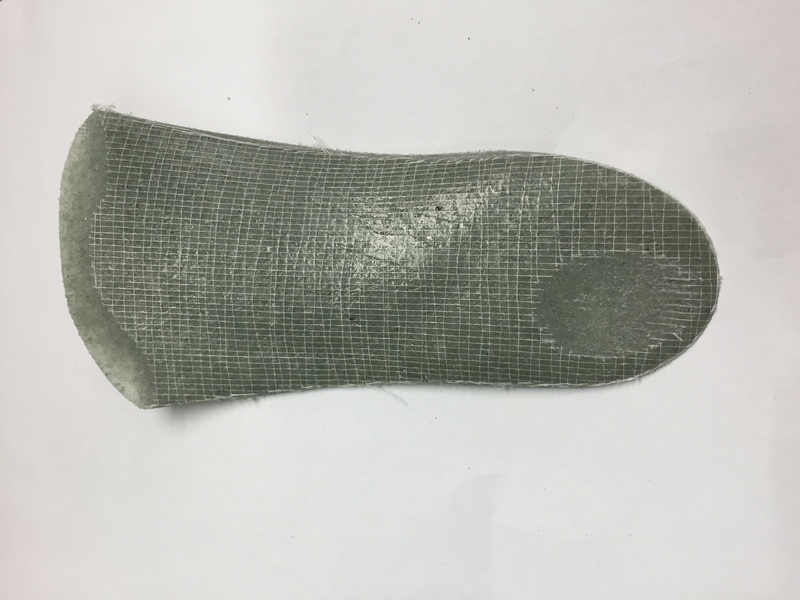 We usually stiffen the heel cup with Rubberflex, essentially providing a laminated device in the heel seat, as 35 duro is fairly soft. Rubberflex is the default, but you can order it without, if you like. 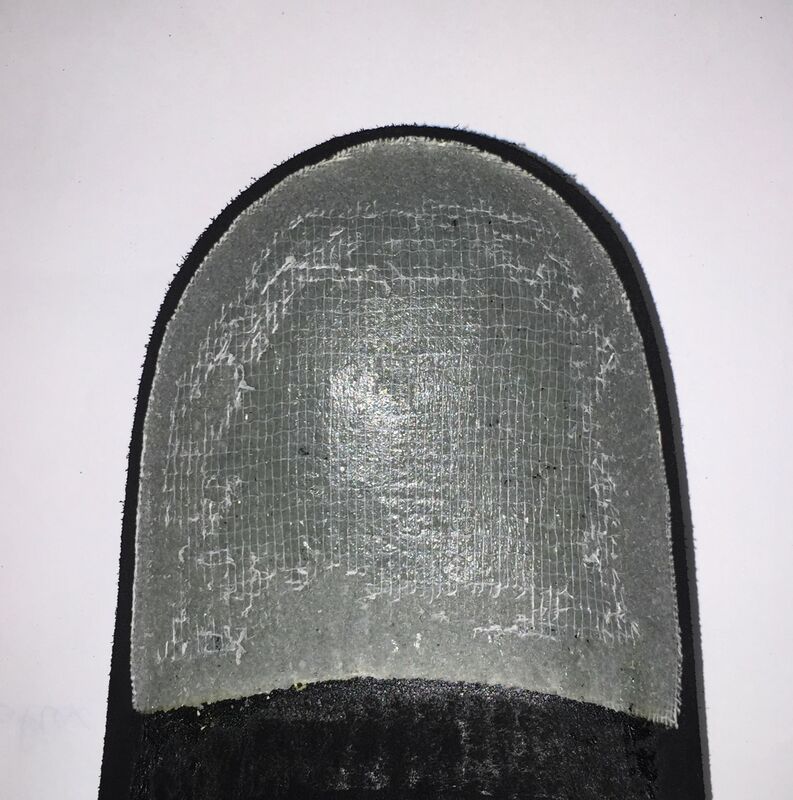 The Diabetic orthotic also comes with a standard reinforcement of Rubberflex which you can request to remove. The 55 durometer EVA is standard for our Accommodative Gentle orthotics. It provides more support and is usually stiffened with Rhenoflex as a laminate in the heel seat. Rhenoflex is the default, but you can order it without the stiffener. 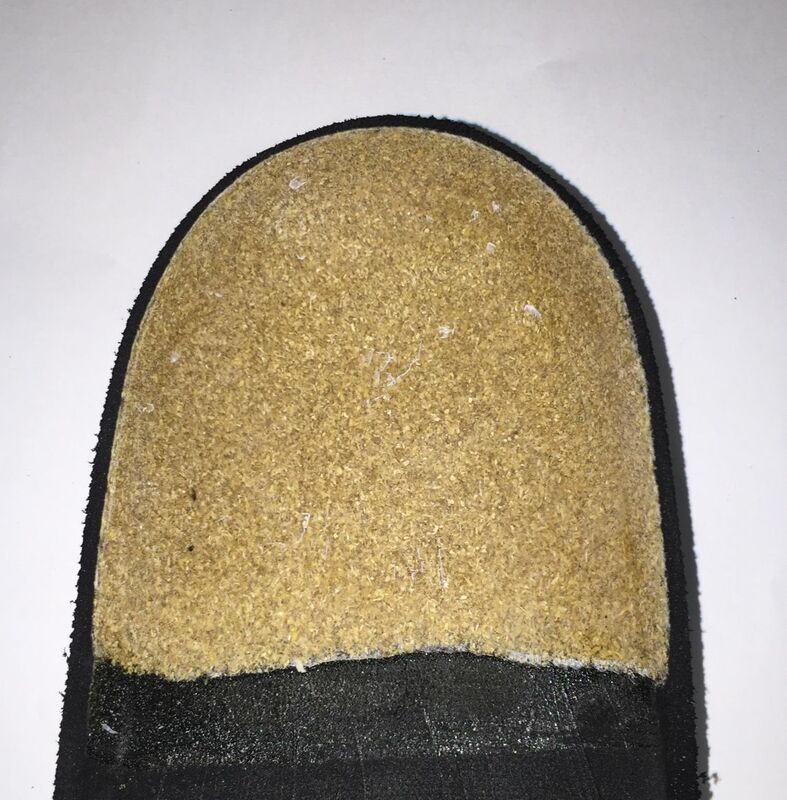 The Accommodative Gentle comes with a stiffener in the heel seat of Rhenoflex which you can request to remove. Rhenoflex is used to add rigidity to foot orthoses as a midlayer /stiffener, or for box toe and heel counter reinforcements in addition to other shoe modifications. We use it primarily with our 35 durometer EVA. In addition, by special request in the notes section, you may request a Rhenoflex shell. These are sturdy, providing a level 3 control, and very thin and light. A good option for a shoe with room to accommodate a regular device. Rubberflex is a stiffener used primarily with our 35 durometer EVA. It is not suitable as a shell material on its own as it does not provide enough support alone. 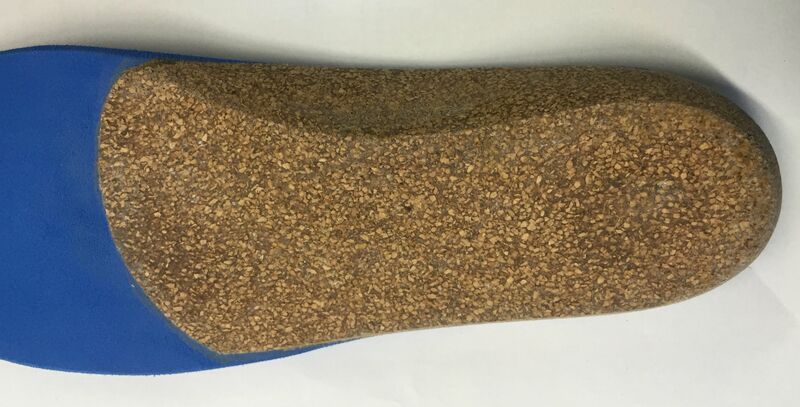 We provide a shell material of cork as a special option (just record it in the note section of the online order form). This is very useful for use in custom sandals and a variety of other options.